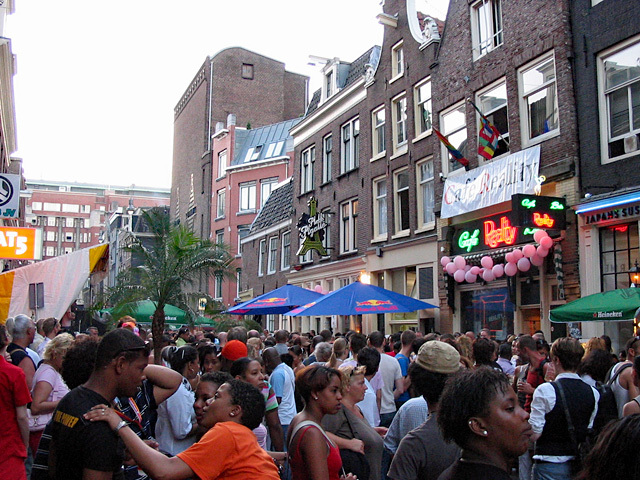 One of the biggest highlights in Reguliersdwarsstraat are the street parties to celebrate the annual Gay Pride (officially: Pride Amsterdam), which is the largest gay event in the Netherlands. 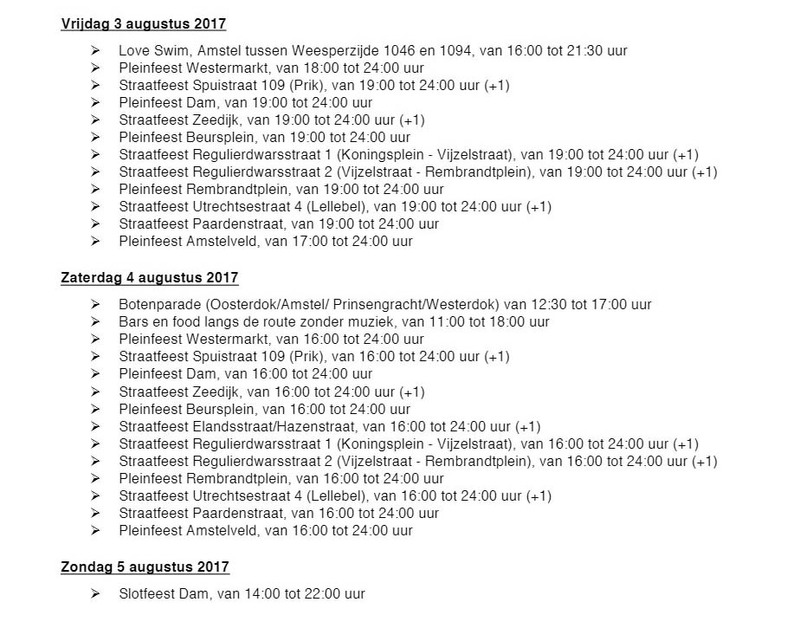 The Public Health Service (GGD) of Amsterdam provides free vaccinations against Hepatitis B: on Saturday, August 4, from 13.00 - 19.00 hrs at hair salon El Encanto, Reguliersdwarsstraat 33. Please note: When the street gets too crowded, the entrances will be closed off and the rule "10 people out, 10 people in" may be applied (see the map above). Because of the heat, you can refill your water bottles at the various places and you can ask for free tap water. After the end of the celebrations outside, the party continues inside the various places! 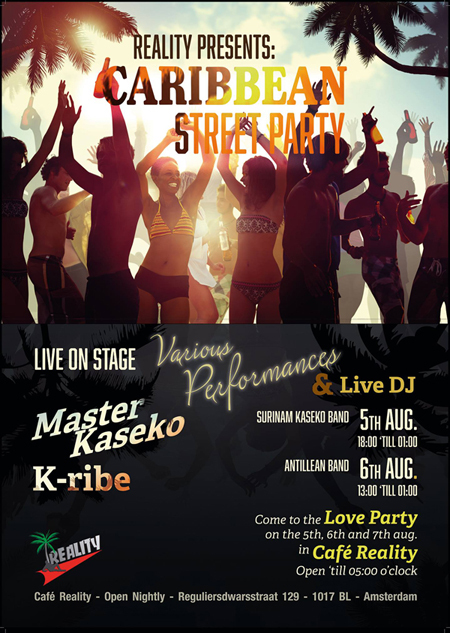 - With DJ Saboflex, live performances and much more! The outside tap stays open until 01.00 hrs, and afterwards the party continues inside Reality bar until late! 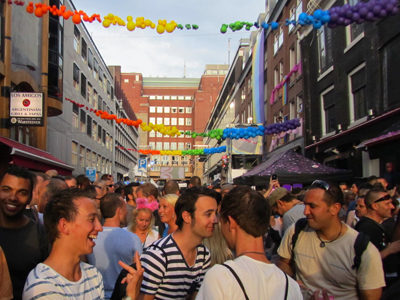 Click here for an overview of YouTube videos showing how Gay Pride was celebrated in earlier years! 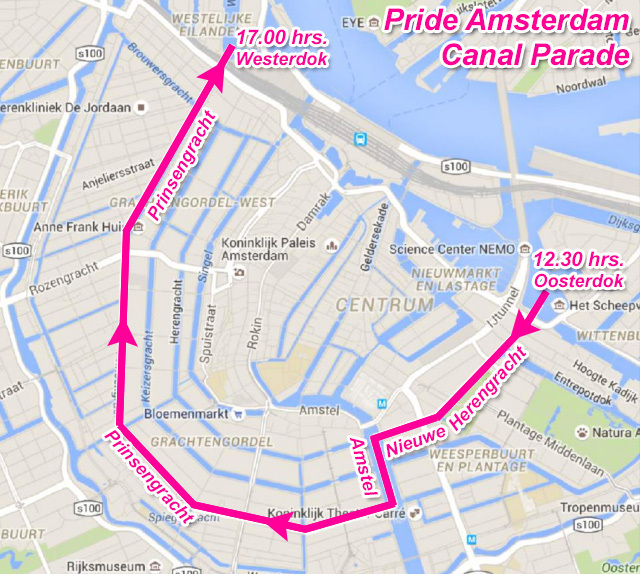 The Amsterdam Gay Pride starts with an event at the Homomonument at Westermarkt from 11.00 till 12.00 hrs. 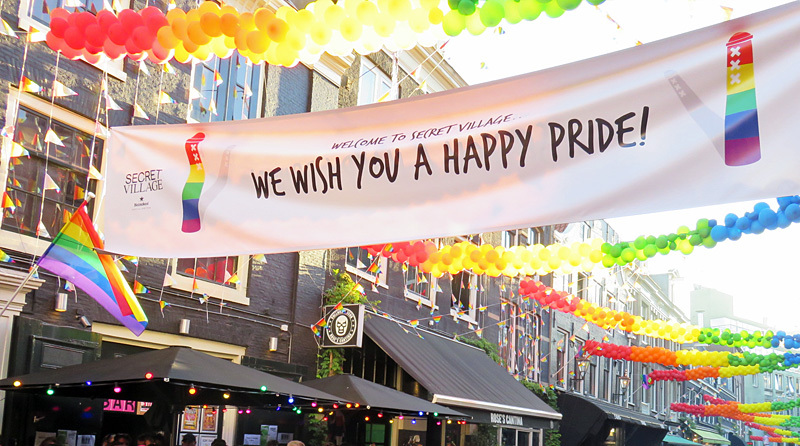 Then, the Pride Walk departs from the Homomonument and goes to Vondelpark, where there's a special Pride Park program with a Rainbow Fair from 11.00 till 22.00 hrs. 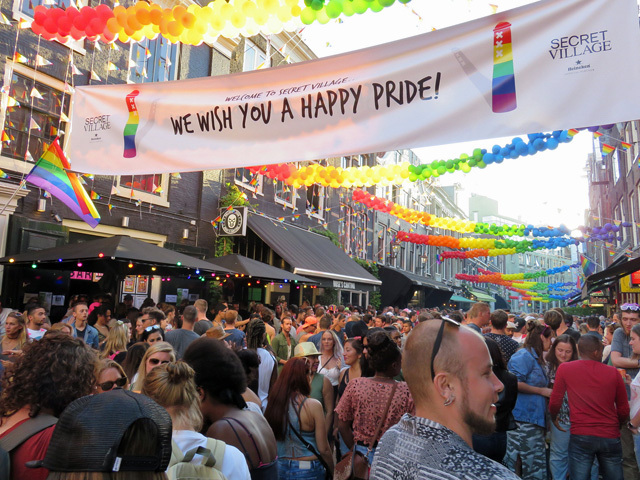 The Amsterdam Gay Pride ends with a big and free closing party. 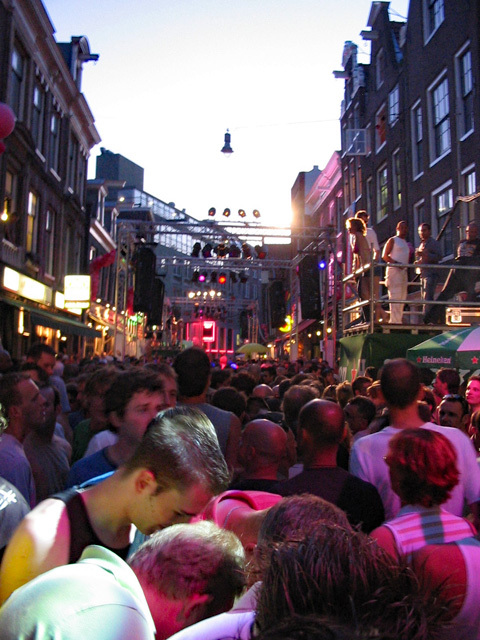 Unlike previous years, this party will not be held on Rembrandt square, but on Dam square, from 14.00 - 22.00 hrs.